While finishing Rachel Held Evan’s new “Searching for Sunday” as she begins thanking different friends and people for their contributions to the work of the book, I immediately noticed that my skin was covered in goosebumps. Throughout the book, chapters begin with quotes from other authors, theologians or musicians. In passing each quote, I realized that they were authors who also had joined me on a journey from loving church, to leaving church, to finding church again. Madeleine L’Engle, Nora Gallagher, Frederick Buechner, Walter Brueggeman, Brian McLaren, Anne Lammott, Barbara Brown Taylor, Becca Stevens, and on and on and on. The way the book itself resonated with something in me apparently forgotten was registering more and more understandable as each name graced the pages. A sense of camaraderie was surfacing, like we had all been having these conversations together. And then in hitting the acknowledgments, a section I’ve come to read in every book as to me it presents a kind of undercover autobiographical picture of the author, she thanked many of these people, referencing food, wine and tables as a common location for their work together on life and ultimately on the living behind this book. My mind drifted to the last few months in my own life. High expectations met with a deep drop of disappointment and numbing hopelessness that permeated much of my community. It drifted to my travels across the ocean and to the coast, sitting and reading and eating and drinking with friends and family. These are the same friends and family who journeyed with me during a deep love of church. 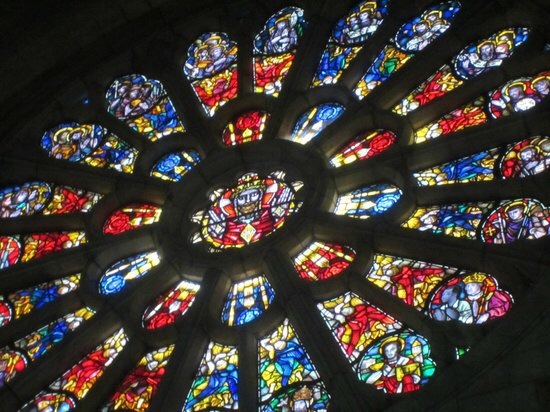 They were with me when I realized for the first of many times that church will be as out of touch and off track as any other group of normal people. They were with me when I couldn’t bare to look church in the face because it was unrecognizable as the body of healing and hope and restoration and justice that I had learned it was supposed to be. They were with me sitting on a living room floor every Sunday night managing crying babies and prayerful questions about what it means to be tiny christs in the world. They were with me when I snuck into the back row of big church for an Easter service because something in my blood wouldn’t let me stay home. And they were with me I said what I swore I would never say again as i committed to a group of people learning together what it means to live as Christ in a world clamoring for us to figure it out. And were I to be writing a book about loving, leaving, and finding church, I would write in the acknowledgements about all of these people and their tables. Dinner on Greencastle and Harper Cove. Breakfast and mimosas on Mimosa Drive. Happy hour at Picasso’s and Flat Iron and the Fat Cactus. Cheese and whiskey on Smith Dr. and sundowners at Camps Bay. Coke zeros and weird cookies under the rustling thatch looking out toward the Nicaraguan volcanos. These meals and drinks have been peppered with the words of Buechner, L’Engle, Brueggeman, Stevenson, Alexander, Meyers, McLaren. They have been soundtracked with the music of Sara Groves and Josh Garrells and Bono and the Indigo Girls. They have been hemmed in by the wise words of good friends. And if any of us look carefully enough, there are small stones somewhere in each these places, whether restaurants or rancheros or vineyards, that mark something important. They mark tiny moments of thin space where God was real for just a moment, whether in hopelessness or surprising hope. They mark signs of the kingdom with other people who have been both lost and found. Rachel Held Evans and her people. Me and my people. There are lots of us out there looking for each other in hopes that we can find ourselves. 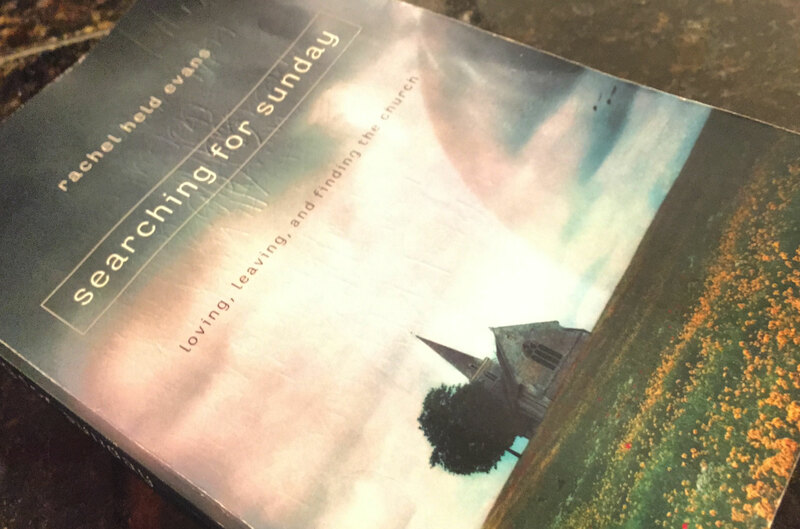 The book was a reminder to keep searching for Sunday. To find Searching for Sunday, click here.